Cilantro herb contains no cholesterol; but is rich in anti-oxidants and dietary fiber which help reduceLDL or "bad cholesterol" while increasing HDL or "good cholesterol" levels. The leaves and seeds contain many essential volatile oils such as borneol, linalool, cineole, cymene, terpineol, dipentene, phellandrene, pinene and terpinolene. The leaves and stem tips are also rich in numerous anti-oxidant polyphenolic flavonoids such asquercetin, kaempferol, rhamnetin and epigenin. The herb is a good source of minerals like potassium, calcium, manganese, iron, and magnesium. Potassium is an important component of cell and body fluids that helps control heart rate and blood pressure. Iron is essential for red blood cell production. Manganese is used by the body as a co-factor for the antioxidant enzyme, superoxide dismutase. It is also rich in many vital vitamins including folic-acid, riboflavin, niacin, vitamin-A, beta carotene, vitamin-C that are essential for optimum health. Vitamin-C is a powerful natural antioxidant. 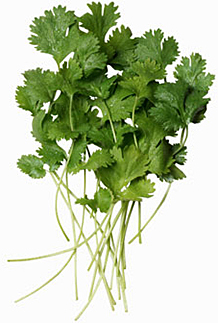 Cilantro leaves provides 30% of daily recommended levels of vitamin-C. It provides 6748 IU of vitamin-A per 100 g, about 225% of recommended daily intake. Vitamin-A, an important fat soluble vitamin and anti-oxidant, is also required for maintaining healthy mucus membranes and skin and is also essential for vision. 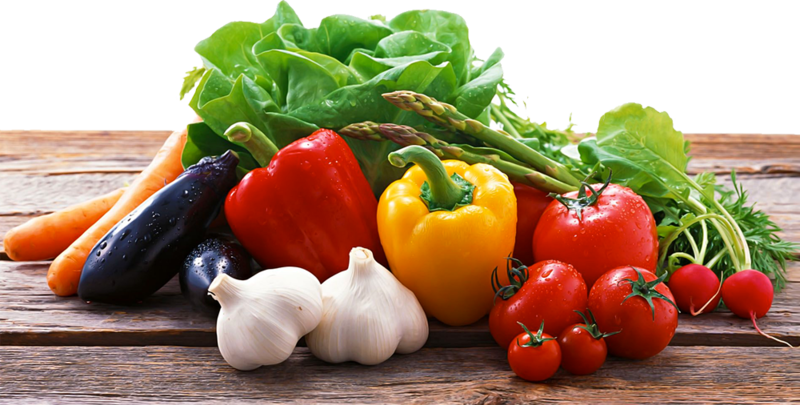 Consumption of natural foods rich in vitamin-A and flavonoids (carotenes) helps body protect from lung and oral cavity cancers. The coriander seeds oil have found application in many traditional medicines as analgesic, aphrodisiac, anti-spasmodic, deodorant, digestive, carminative, fungicidal, lipolytic (weight loss), stimulant and stomachic. Cilantro leaves provides only 39 cal/100 g, but their phyto-nutrients profile is no less than any high calorie food source; be it nuts, pulses or cereals or meat group.